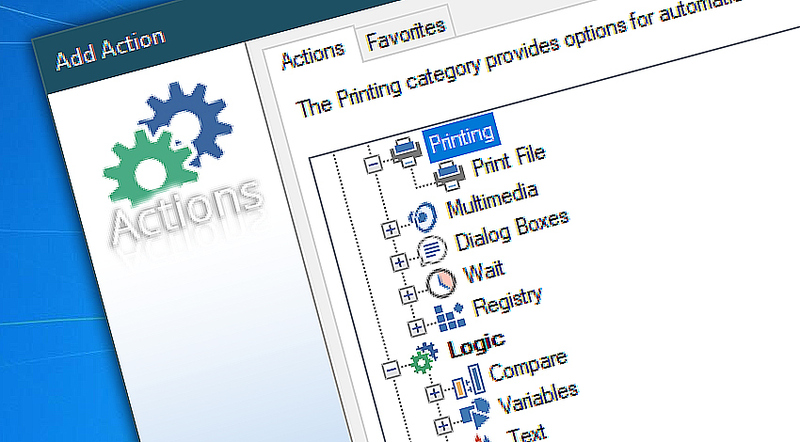 Print file Actions allows automatic file printing by requesting the associated program to open and print the file on default printer. Print file Action can print every printable format as long as the associated applications are installed. Formats range from popular Adobe PDFs to Word documents and go as far as professional graphic file formats of various kinds. Although you can automatically print many things with Print file Action, we suggest to consider responsibly what will be printed. Excessive paper use may negatively impact the environment. Print File automatically prints the documents on the default printer. Print File · requires applications to print files of associated type. More powerful than you think! 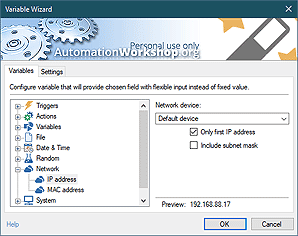 Automation Workshop has powerful features and almost limitless possibilities under the hood. —Quinn A.